Registration and abstract submission are now open for the 14th International Seabird Group Conference to be held in Liverpool, 3-6 September 2018. Join us, for what promises to be an exciting showcase of the latest seabird research, in the heart of the city of Liverpool, famous for its maritime history and cultural diversity. Keynote speakers include Kyle Elliott (McGill University, Canada), Ana Sanz-Aguillar (Mediterranean Institute for Advanced Studies), and Thierry Boulinier (Le centre national de la recherche scientifique or CNRS), whose talks about seabird ecology, physiology and conservation will complement two and a half days of oral and poster presentations. Early bird registration, at just £150, is available until April 13, after which registration will rise to £225. Please visit the conference website in order to register. 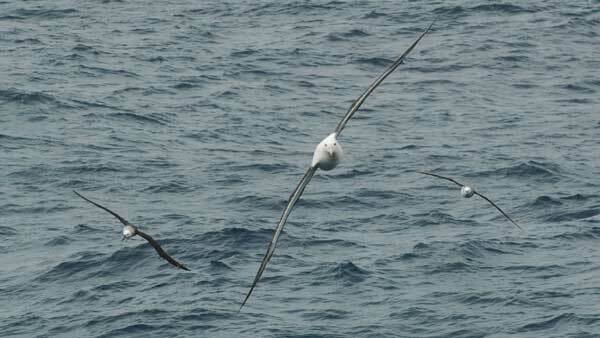 We encourage you to present your work on seabird research, monitoring and conservation at the conference. Please submit an abstract for a poster or oral presentation before March 16 via the conference website. Prizes will be available for the best student talks and posters. To get in touch with the conference organising committee, please contact them directly by email: seabirdconference@liverpool.ac.uk. You can follow updates in the run-up to, and during, the conference on Twitter using the hashtag #seabirds18.